In this post, we’ll share how to find your customers and market your business. A fundamental component of building your business is pricing and marketing your offerings. As we discussed in the beginning of this guide, demand for commercial drone services is growing. However, the supply of commercial drone operators is growing, too. As of January 2018, the FAA reported that there were 122,000 Part 107-certified drone pilots. Many of these pilots are your competition. In this section, we’ll cover what you need to know to market your services and stand out from competitors. What comprises the market for your services? Fundamentally, it’s a group of prospective customers that would benefit from drone-based remote sensing services. But, since no single drone service provider can address all the possible applications of drone technology, you’ll need to qualify your offerings, as well as your target customer (or target market). Geography—To where are you willing and able to travel to conduct drone missions? Technology and Staffing—What are the limits of the hardware and software you own? How many mission-ready pilots are on your team and how large a project scope can they complete? Regulations, Insurance, and Risk—What missions are you certified to fly? What are the limits of your insurance? To what degree are you willing to put your the safety of you and your staff, as well as your equipment, at risk? For example, you might live in Louisiana and only be able to conduct video inspection of electric utilities within the state, excluding its treacherous and swampy southern region. Next, consider your expertise: what kind of missions are you most qualified to perform? Do your interests or experience apply to a particular industry or type of mission? For example, traditional photographers typically see drone-based wedding and real estate photography as a logical extension of their expertise. A lineman could easily transfer their knowledge to drone-based electric infrastructure inspection. Contrastingly, consider areas in which your expertise may be poor. For instance, if you lack experience contracting for federal and state governments, they may not represent be the easiest client to first target. To market your services effectively, you must understand your buyer. Offerings (and how they can be augmented by drones)—What services does the target business offer? Of those service offerings, which elements, or specific operational activities, can be augmented by drones? Refer back to the Applications section of this guide for examples. Objectives and Goals—Every business’s ultimate goal is to make a profit. How do they build profitability? For example, builders protect profits by ensuring projects meet scope, schedule, and budget requirements. Challenges—What obstacles are preventing the business from achieving their objectives? In the case of builders, project scope, schedule, and budget overruns drain project profitability. Function—What’s their title? What role do they play in the organization? Who do they report to? Manage? Motivations—What are their motivations? For instance, technology leaders within organizations are typically motivated to introduce innovative solutions that improve business processes and profitability (that’s how they earn bonuses and promotions). Challenges—What obstacles are preventing them from successfully completing their job duties? For example, facility managers are often challenged by a lack of accurate and timely data about the facilities they manage. Responsibilities—Ultimately, what are the people in this role responsible for? At their annual performance review, what measures are their boss using to determine if they deserve a raise? Learning—What social networks, publications, and events do they use to stay on top of their industry and job function? Ultimately, understanding your customer is key to marketing your services well, as building trust with your prospects is paramount. You do that by showing you understand their motivations and challenges and speaking their language. Prospects care about how drones can help them better do their job (more than they care about how fancy your hardware is). Marketing to consumers is a lot like targeting business professionals. Knowing who they are, what they’re motivated by, and their pain points—as well as how they go about resolving those pain points—is foundational to an effective marketing approach. Still clueless about where or to whom to start marketing your business? Review the Applications section of our guide for ideas. Also, talk to successful drone service providers. You can use local meet-up groups, online blogs, industry trade shows, and national conferences to keep abreast of industry developments and build professional relationships. Here’s a list of the top drone events of 2018. There are hundreds of free resources that will teach you sales and marketing tactics. Pick a unique business name. Hire a graphic designer to ensure your logo and collateral look professional. Build a website using a free tool, establish social media accounts, and advertise. But, only do these things after you’ve defined your target customer, as discussed before. By knowing where your buyers go to research solutions to their problems, such as specific trade shows or industry publications, you’ve already identified platforms where you have the best chance of connecting with customers. It’s in those places that you should spend your time and money on marketing efforts. Ignore the rest. For example, only wedding photographers should have Pinterest pages. 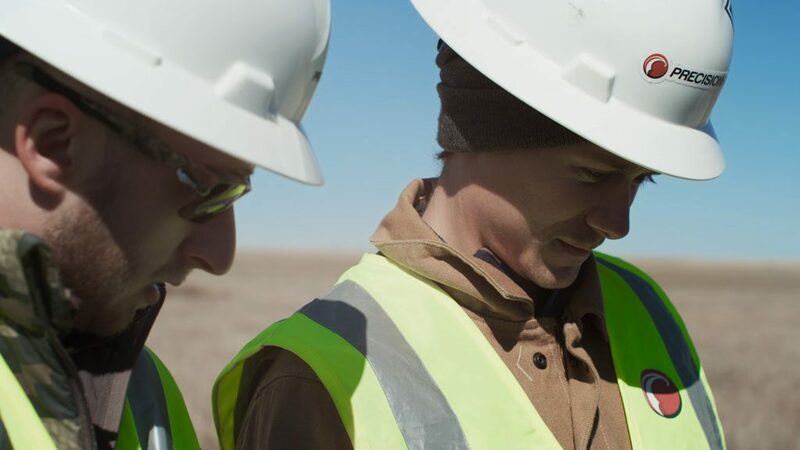 Joining a commercial drone network is a great way to find projects and connect with potential customers. PrecisionHawk’s Droners.io platform has a network of more than 15,000 commercially licensed drone pilots, making it the largest network of its kind. The site is dedicated to connecting certified drone pilots directly to customers. Browse job postings, pilot profiles, and portfolio reels by visiting the website and joining the network today. 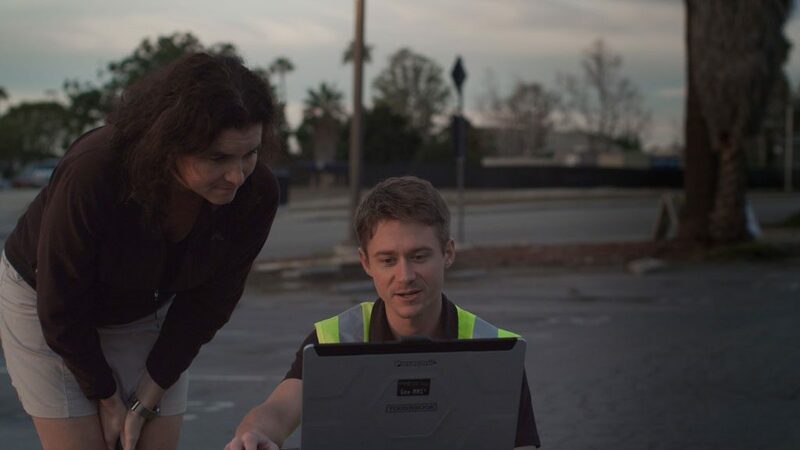 Pilots participating in PrecisionHawk’s Drone Pilot Network not only gain access to a large and growing volume of consumer and enterprise engagements, but they also gain access to a support structure that will help them accomplish their missions. Grow flight opportunities from a single source—From individual consumer postings to engagements emerging from the world’s leading enterprises, a large inventory of commercial opportunities are available to drone pilots. This includes opportunities from PrecisionHawk’s enterprise clientele. To competitively price your services, there are a number of factors you need to consider including scope of services, location, and competition. According to Droners.io, drone pilots charge between $100 to $150 an hour on average, but rates will vary depending on the project requirements and industry. How quickly does the client need the deliverables? You can charge a premium for projects with a quick turnaround time. How much will it cost to travel and perform the service? You should account for any atypical travel expenses. What is the standard in a given industry? Keep in mind that the price point for your services will fluctuate across industries. What is the quality and quantity of the final deliverables? You can charge more based on image size, resolution and volume. What expertise do you have? Clients will generally pay more to work with experienced pilots or pilots with an understanding of their industry. Does the client need any special insurance coverages? You’ll want to include any added expense for uncommon insurance requests. What are your software costs? You can charge more for advanced data analysis or editing. Any payment processing fees? You’ll want to tie in any banking or payment processing costs.